Can I have a Quikshade made to a custom size? Although there are customisations that we have performed, generally these have been to do with height. A custom sized frame will not have been tested to withstand the loads and wind ratings. Consequently, there will be no warranty on a custom sized frame. Can I have a shade 9m x 4m? No, however, with our range of sizes, it is possible to use multiple units together, and we would recommend using three 4.5m x 3m units side by side to create 9m x 4.5m in this example. Because our frames have a scissor action in the roof struts, frame design also needs to be symmetrical, with strut lengths being equal so that the frame opens and closes easily. How long will a QuikShade last? We have been making QuikShades since 1985, the oldest one that we know of that is still in regular use is now over 26 years old, and the owner replaced the original cover 3 years ago! With a little care and attention, your QuikShade will last for many years; this is why we have a 20 year Limited Lifetime Frame Warranty. Remember to make sure your cover is thoroughly dry before you put your QuikShade into storage – mould is impossible to remove from fabric. Why does a QuikShade cost more than the shades on Ebay? There is a huge difference between a QuikShade and any other folding gazebo or marquee on the market. 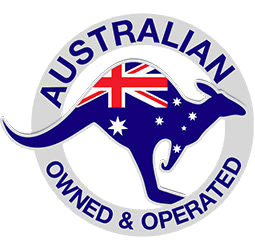 QuikShades are hand built here in Australia, using the best quality components that we can obtain, this way we know that a QuikShade will continue to perform year after year. We do not believe in making a “throw away” product – invest in a QuikShade, and you will not need to replace it. We do not use plastic in any structural part of our frames, we use glass reinforced nylon, made in Australia, using our moulds. If you ever need a part for one of our frames, we have them in stock. 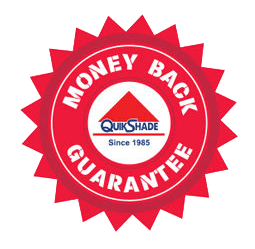 If you think a QuikShade is expensive – I ask you “compared to what?” There is no other product on the market to compare a QuikShade against. Can I use a QuikShade as a Car Port? There are certainly many people who use their QuikShades in a semi-permanent manner. However, the QuikShade is sold as a temporary shelter structure, and should not be left up overnight, or used in bad or stormy weather. Do carry bags have wheels? No – we have been asked many times about this. Our experience and testing of wheeled carry bags show that in time the wheels or axle can fail, and then it is very hard to move around. Wheels may work fine on a hard flat surface, but on rocky ground, or soft sand they just do not work. If you need to move a heavy object for a reasonable distance, then there is a tool designed exactly for that purpose – a hand trolley with pneumatic wheels – usually costs about $20-$25 from a local hardware store. Can I get printing on my cover or walls? Printing on covers and walls is an option that many business and clubs take advantage of. The cover can be fully branded for a set price; this allows an unlimited range of colours, logos, text and graphics to be used. OR, you can pick a stock colour for the roof and have the same freedom of choice on what you print on the skirts or valences for a lower price. Printing on walls allows the options of printed on the inside, outside, or on both sides of the wall. There is no charge for preparing artwork concepts and designs; we recreate logos were necessary, and are aware of the potential problems that may arise with bringing a concept to the finished article. What sort of material is used for the cover? Traditionally we use a 500 Denier PVC Coated Polyester, which gives 98% UV protection, is waterproof and has been treated with a fire retardant. For many years this has been regarded as the top of the range. Cheaper manufacturers often use thinner fabrics, these will fail quicker, not give the same protection from the sun, and may not have the added protection from UV or fire retardant. Our printed fabric is now 600 Denier, so it is an even heavier grade material. Can I get a PVC Cover? Yes, we do sell PVC covers to some of our customers. However, we do not recommend PVC on anything bigger than a 3m x 3m – Quality PVC tends to be a heavier product, which is also stiffer when cold which makes it harder to put up the shade. PVC also is easier to scuff, and although it can be repaired, it requires welding. So PVC covers are more expensive, heavier, and easier to damage. Some companies do sell cheaper PVC covers, but this material is often very thin, bruises and scuffs easily. We would recommend printing on polyester in preference to PVC. Do you have any cheap QuikShades? 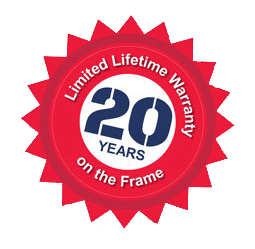 Occasionally we do have some “seconds” frames or covers – these frames may have some small cosmetic marks – but still come with our 20 year Limited Lifetime Frame Warranty. “Seconds” frames always sell very quickly, so make sure you check our Sale Page – or call our office on 1800 678 982 to find out if we have one that would suit you. Second-hand frames are even rarer – QuikShade customers hang on to their QuikShades or pass them down the family. However, if we have a second-hand frame, we will have stripped it down, replaced any damaged components, rebuilt it and then we give it a 10 Year Warranty for failure through normal wear and tear. Is QuikShade Australia the same as QuikShade in America? No – the two companies are not related in any way, neither are the products. The product sold by the American Company is nothing like the frames made by us. Bravo Sports own the brand Quikshade in the USA, and they recognise our trademark and do not supply to Australia. What else does QuikShade sell? We can supply a range of printed table covers, flags and banners to compliment your QuikShade and help you stand out at the market, fair or event. If you have a project in mind and need something sewn that you just cannot buy in a shop, let us know, and our custom sewing workshop will be happy to advise you on the way forward. We always like to say YES, and we know what we excel at best. If we think that your project needs skills outside of our experience, we will try to find suitable experts for your individual project. Are All QuikShade Products Australian Made? 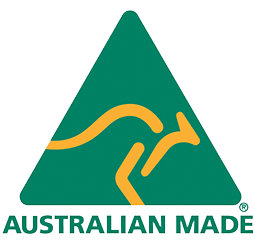 The QuikShade range of folding gazebos since 1985 has always been made here in Australia by Australians, and the QuikShade range of products is entitled to carry the Australian Made symbol. However, there are a number of other products that we have been asked to supply over the years and we source these products from other quality suppliers who may be manufacturing off-shore. QuikShade, does not claim that these other product groups are Australian Made. Examples of items which are not manufactured by QuikShade Australia include table covers, teardrop and feather banners and golf flags. How do I take care of my QuikShade? 2. It’s really important to read your Warranty and ‘Caution against Improper Use’ information. 3. When carrying your Quikshade always lift the unit: do not drag as this may wear holes in the canopy and carry bag. 4. Secure Quikshade at all times. Superior designed pegs and extra strong Guy Ropes have been supplied with unit, however in some situations they may not be adequate and additional security may be required so use your Quikshade sandbags. 5. Do not leave your Quikshade fully erected over night and/or unattended at any time due to unforseen weather conditions and ‘sticky fingers’! 6. If it is necessary to collapse your Quikshade when wet, open and allow to dry as soon as possible. 7. To clean, use only ½ tspn of gentle detergent in a 5 litre bucket of water and brush canopy with long handled car brush and hose. 8. Do not spray insecticides, repellents or any other chemicals directly onto or near fabric, as this will remove water proofing and void warranty. Do not put cover in washing machine! 9. Do not spray frame with lubricants such as WD40, as this attracts dirt. If legs are stiff remove inner legs and wash both inner and outer legs with detergent and water. 10. Transportation and storage of unit is best suited in the upright position. If unable to do so, remove canopy for longer journeys or place padding (carpet piece) under unit when lying down. What does the 20 Year Limited Life Warranty Cover? Thank you for purchasing a Quikshade portable shelter from Quikshade Australia Pty Ltd (“Quikshade”). We at Quikshade have attempted to design, manufacture and sell the best possible shelter for value for your money. Quikshade warrants that for a period of twenty years from the date of the original purchase by you of the Quikshade Frame, it will be free from defects in materials and factory workmanship. Subject to the limitations below, Quikshade will repair or replace all defective materials and workmanship. 1. You must receive prior authorisation from Quikshade before shipping goods for warranty. Please call our toll free number 1800 678 982. The original purchase invoice must accompany all goods returned under warranty. 2. After receiving prior authorisation, you may submit your warranty claim to the address provided, shipped prepaid and accompanied by the original dated purchase receipt. The warranty does not extend to any cost associated with the delivery, handling, freighting or transportation of the product or part of the product and does not extend to any damage or loss occurred during, or associated with transit. 3. Routine maintenance, cleaning, adjustment or alignments are not covered under this warranty. 4. This warranty excludes any damage, defects or loss caused by improper use, abuse, neglect, accidental damage, vermin infestation, or any alteration which affect the reliability or performance of the Quikshade. 5. The Limited Lifetime Warranty applies only to the Quikshade frame. Quikshade warrants that for a period of one year from the date of the original purchase by you of the Quikshade Cover, Walls, Carry Bags and logos, it will be free from defects in materials and factory workmanship. Subject to the limitations above, Quikshade will repair or replace all defective materials and workmanship. The Quikshade shelter ("Quikshade") is designed as a lightweight temporary portable shelter. Although the materials used are of good quality, the fabric is built within the relative standard range for colour fastness for value for money. This means that where the Quikshade is used outdoors over time, the fabric will be subject to fading. This process will be accelerated by continual use. 1. Read the assembly instructions before erecting the Quikshade. Never apply unnecessary force to erect, dismantle or fold the Quikshade. 2. Always affix the Quikshade securely to the ground. When erecting the Quikshade always ensure that the ropes are tied securely to the frame (not the fabric covering it) and pegs are firmly in ground. The ropes and pegs supplied may not be suitable or adequate; therefore you should ensure that the tie down method is adequate when erecting the Quikshade. 3. Always set the Quikshade up so that it is level. 4. Never leave your Quikshade unattended or up overnight. 5. Do not use this Quikshade as a permanent outdoor structure. 6. Never set up or continue to use your Quikshade in windy or stormy conditions, especially in lightning storms. Damage can occur to your Quikshade and put you and others in potential danger. 7. Keep your Quikshade top away from heat and flames at all times. Do not barbecue or build fires under your Quikshade. 8. Hand wash using only mild soap and water when cleaning the top. Never use harsh detergents, abrasives or bleach. Do not machine wash. See care instructions enclosed with product. 9. The Quikshade fabric is water proof. The manufactured cover is not. The unit is not sold as a water proof shelter. 10. Before you store your Quikshade ensure it is completely dry. 11. Use common sense and if all else fails next time read the instructions. 12. Failure to follow these warnings may void your warranty.